Kirk Rankin was born in Washington DC and graduated with Honors from The George Washington University Law School in 1993. He studied finance and economics at The American University where he graduated in 1987. Mr. Rankin founded the Law Offices of Kirk Rankin and Associates nearly 20 years ago after practicing law for 5 years with another attorney. Mr. Rankin was admitted to the Bars of Maryland, Virginia and the District of Columbia. He is also admitted to practice before the United States District Courts for Maryland the Virginia, as well as the USCIS and all Immigration Courts. Together with his wife and two of his three children, live in Washington DC. They share their home with a Great Dane, a Labrador retriever and two cats. Mr. Rankin enjoys spending time with his family, and has an interest in pottery, snowboarding, cooking, as well as coaching youth soccer and basketball. Allison Wright is licensed in Maryland and works at the Maryland branch of the Law Offices of Kirk Rankin and Associates. She has been a member of the Maryland bar since 2004. She speaks Spanish and handles immigration and personal injury cases. She studied law at the University of Colorado, Boulder. Mrs. Wright lives with her husband in Maryland and enjoys hiking, gardening and cycling in her spare time. David Long Jr. is a licensed in Virginia and works in the Virginia branch of the Law Offices of Kirk Rankin and Associates. Before coming to the Law Offices of Kirk Rankin and Associates, he was an attorney at Troutman Sanders where he worked on various litigation matters. David attended the University of Charleston where he studied political science and business administration. After graduating from college, David received his Juris Doctorate from Washington and Lee School of Law. Bach-Yen has worked with The Law Office of Kirk Rankin & Associates for 24 years that has allowed her to obtain a profound knowledge of personal injury cases. She takes on all aspects of cases dealing with insurance companies and direct contact with clients throughout their cases. 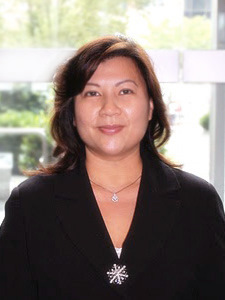 She is fluent in Vietnamese and is passionate about helping her clients through difficulties and resolving their cases smoothly. When not in the office Bach-Yen loves to travels the world and cook. Kathy Soto is a full-time paralegal at the firm with over 19 years of experience in the legal profession. Her specialization in the immigration field enables her to closely assist clients with immigration questions. Kathy can also speak, read, and write fluently in Spanish. Erica Reyes is a paralegal who has been with the Law Office of Kirk Rankin & Associates for over 15 years. She graduated with a bachelor’s degree in Business Administration from Stayer University. She speaks Spanish and English fluently. She helps clients with their immigration and bankruptcy matters. Her other duties involve office bookkeeping, assisting attorneys with litigation cases, and translating in consultations when needed. She enjoys spending time with her husband and four kids. Karen Hernandez Cruz earned her Bachelor's Degree of Criminal Justice from Marymount University of Arlington. She was born in El Salvador and is fluent in Spanish and English. Her duties include interviewing clients, translating and assisting Spanish-speaking clients, investigating cases, phone calls to insurance companies, providers, and the police department. Karen enjoys playing with her daughter and shopping in her spare time. Erin earned her Bachelor’s Degree from Marymount University in Criminal Justice with a concentration in Forensics and is currently working on a Master of Business Administration. Erin joined the Kirk Rankin and Associates team as a paralegal in 2009 and is also a Public Notary. Erin spends her free time watching movies and loves fine dining. Karla earned her Bachelor’s Degree from the University of Virginia in Spanish Literature and Culture. She is currently getting her Masters at George Mason University. Her area of focus at the Virginia branch of the Law Offices of Kirk Rankin & Associates includes assisting with personal injury cases, requesting bills and medical records, and regulating and responding to online reviews. In her free time she likes to spend time with her family.